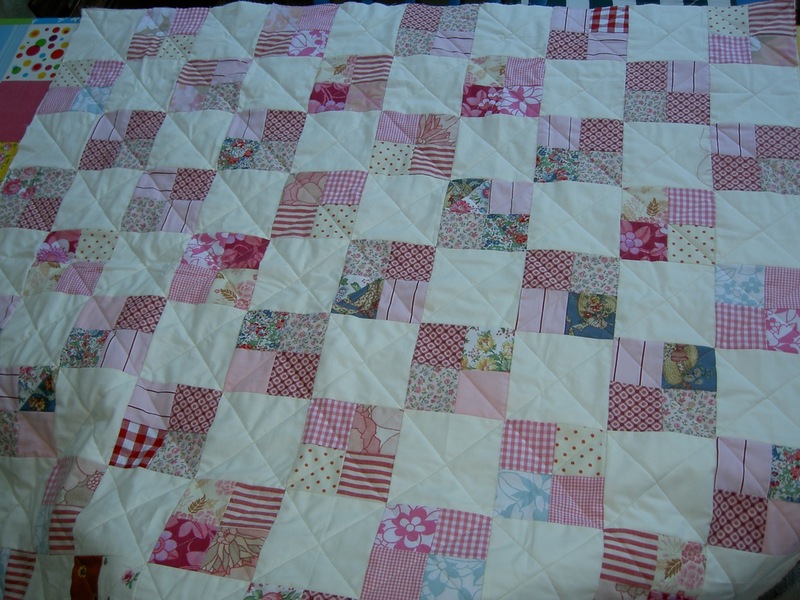 The pinky quilt is now quilted, ready for demonstration purposes on the 25th May in Lausanne. Straight lines take rather longer than stippling, but I think this looks ‘achievable’ for beginners. Now all I need to do is attach binding, probably the stripey red/white that is already in this quilt. Whether for little girls or for myself, I seem to have been making a lot of pink quilts lately. I never liked pink. Now, with my pinky-greeny bags of scraps billowing beyond all recognition, I have to admit that I have a pink problem. It is growing on me. Yesterday, I went shopping for a pair of short trousers to celebrate the impending arrival of Spring. This is what I ended up buying. The problem is spreading. I am close to embracing my Inner Princess. 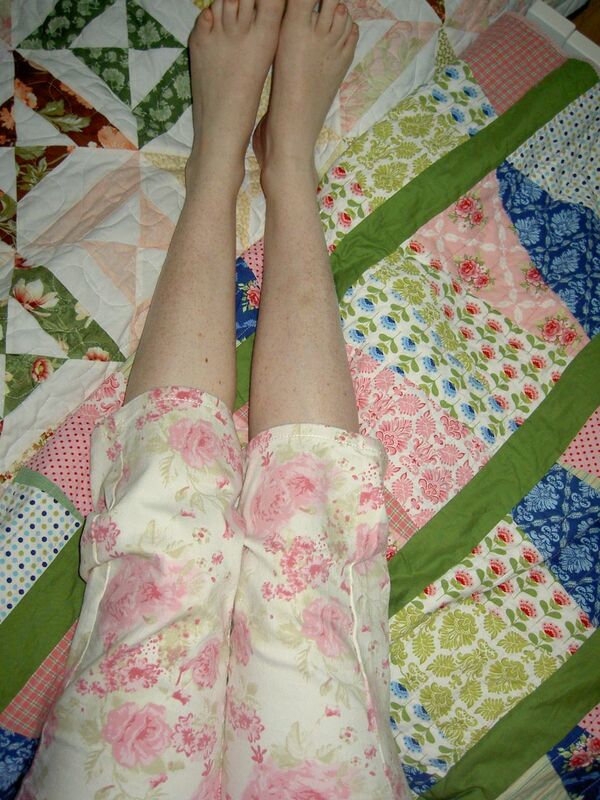 Or am I just turning into a quilt (or, more worryingly, what looks like a pair of curtains)? Do you find that colour schemes you would never have chosen take over your life? You go, girl, pink it up! Maybe you’ll even come over to the dark side of liking purple one day, too!